Mom, Will there be a Civil War After the Election? – What's for Dinner Moms? Mom, Will there be a Civil War After the Election? I have always encouraged our children to read the newspaper, watch the news, and pay attention to current events. I want them to be informed citizens as they grow. We talk openly about how we make our choices in voting. How no one candidate can fully match all your wants in a candidate but that you have to look at what is most important to you – finances, healthcare, education, national security and vote with the candidate that best aligns with your beliefs on those topics. We have taught them how to research and what are places you can trust to get your information. But, this election season has been ugly on all sides. Name calling, threatening people, stealing political signs, etc…. It is all over the news. Untrustworthy “news” sites popping up all over social media and spreading untruths or at best half-truths about both candidates. The other night I picked my son up from his orchestra practice and the first thing he asked me was, “Realistically, what are the chances of a Civil War after the election?” My heart broke. He is 13 years-old. This should not be where his mind is. But, he hears kids talking at school, people at the table near us in the restaurants, news stories on the radio. I am thanking God he has no Social Media accounts or he would be a basket case reading all the comments from both sides. I am not asking you to not state your opinions or squelch your rights but what I am asking is that you look around you before you speak. I believe that there are kids just like him all over the country. Scared and hiding what they are really thinking about what is happening in this country. Please be kind when you are talking politics, especially in public. There are many around you who may not be able to fully grasp the situations but understand the anger from both sides. They are scared. I am with you. I posted the last two days about the power of words as well. It matters, it should matter to us how we talk. Social media has changed the way we talk and I am not sure we will find our way back. I hope we do. I hope we do too. Thank tou. We talk about it without trying to bring in emotion. Yes, some issues are emotional but we are trying to teach them when to separate that from the issue. I am thinking of keeping him home next week as I am sure his anxiety is only going to get worse and worse. We have the media to blame for it. The more controversial , the better for the ratings. The more nasty the words are, the better it is for them. Yes! Exactly! This is NOT normal nor should it become that way but I fear it is. Oh everything you say is so true. Since my daughter is a senior in HS and taking government classes and is on social media, there is no avoiding this topic for her. But then again she’ll be an ‘adult’ next year. I can only imagine how stressful this election is for your younger children. I leave the room when mu husband turns on the news now, I simply can’t take any more of it. My daughter is able to filter it out more than my son. He takes everything in and takes it all so seriously. Fortunately, we have not had a television for almost seven months, but this nonsense is everywhere. My husband and I do not have children, but we keep all of our personal views, be they political, religious or what have you, at home where only the two of us can hear and discuss. As to profanity, racists comments and personal attacks, we feel that those are not necessary to use. I ask you, why would any person need to drop F-bombs every other word in a discussion? In Hawaii we say “Live Aloha” which I liken to “Be Kind”, this is what we live by. 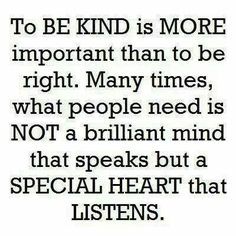 THAT is what we should be teaching our children, “Be Kind”, first and foremost! “Live Aloha”, live with love in your heart and others will follow that example. Yes, there will be unkind people in the world, but let “someone else” (God 😉 ) take care of that, just walk away from it. We are raising our children to be kind, love G-d, be nice to others, and so on. At the same time, it is also neglectful to insulate them to the point where they think everything is rainbows and unicorns. America is, whether we want to admit it or not, as divided as it was before the Civil War. More broadly, the world is piled high with stacks of dry tinder; those stacks are all connected. And people are playing with matches. IMHO, sooner or later, something will catch – it’s not IF, but merely WHEN, HOW BIG, and HOW LONG? Believe me, my children are not rainbow and unicorn children, but I do believe there is an time that it is appropriate to discuss these issues. Children, in my opinion, should not be surrounded by this constant bombardment of information (mostly negative).